Baby style in the first month should be one thing – easy. 1) She was so damn beautiful. 2) She was delicate and I was terrified every time I had to change her outfit. 3) She could poop for England. 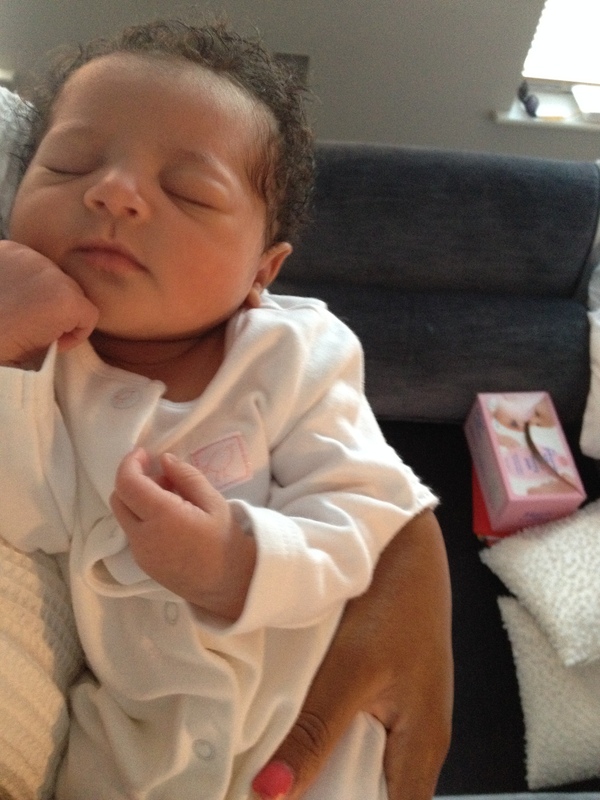 Newborns are so scrummy that they do not need bells and whistles when it comes to clothes. A simple romper (with front poppers, not with poppers up the back or down below) and vest will do! Who has time to twist a baby this way and that into the latest from Burberry Kids when you haven’t slept all night and the bambino spends most of their time sleeping?! You want to be able to whip outfits off swiftly to limit the amount of damage done by newborn poo/spit up/wee spillage etc and you don’t want to waste money on something they will wear once due to their super duper growth rates. You see the haul above? Lalita wore none of it! I found shopping at the likes of http://www.matalan.co.uk/ for the daily onesies [prices start at around £6 for one or £12 for a pack of three], http://www.next.co.uk/ for a few special occasion (and very durable) onesies [prices from £16 for a pack of three and http://www.johnlewis.com/ for vests, hats, mittens and other baby accoutrements to be all I needed. Of course if you have special occasions such as a Christening or Christmas popping up when your newborn is still a newborn then you’re going to want to get something special. I picked up a beautiful satin red dress for Lalita’s first Christmas from Boots for £10.99. 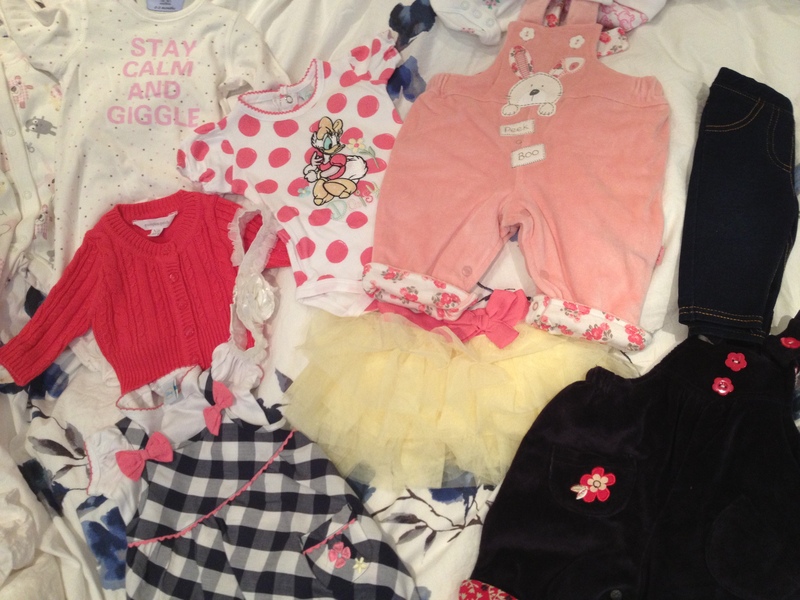 I wasted a small sweet fortune on unsuitable clothes for my little one, hope you don’t (or didn’t) too! ← The Post Baby Weight loss War Rages ON!